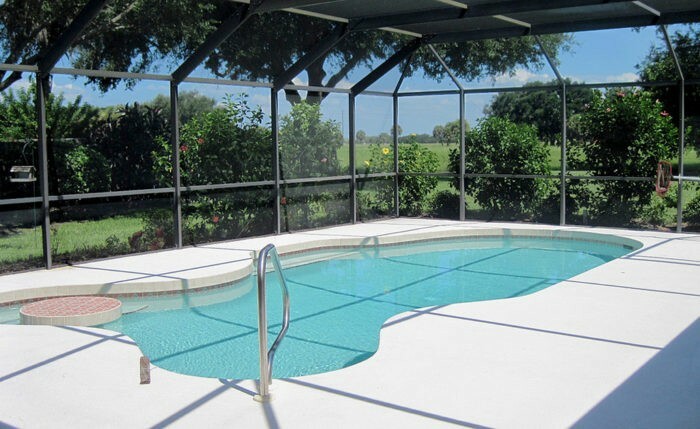 Are you looking for the best South Florida Contracting Services that can provide pool screen enclosures and many other additional accessories for the home or any commercial structure? If your answer is yes, then you came to the right place. We at South Florida Contracting Services can provide all Florida residents with the best enclosures when it comes to materials and overall durability. Would you like to learn more? Go ahead and continue reading to be aware of what we can offer you as an all-around repair company for the house. Our company will get to provide you with the best when it comes to professional repair and subsequent installation services in South Florida. If you need pool screen enclosures installed for your guest cottage, or privacy partitions for outdoor structures, we can take care of this for you. Are you worried that you don’t have much experience when it comes to maintaining all of your enclosures for the home? Our expert mechanics and technicians will be able to help you out by giving you proper guidance on how to care for your various screens both indoors and outdoors. While it is extremely important to have protection against the elements, it is also important to save money. This is why our company prides itself in providing the most affordable services without sacrificing the quality of the materials that we use. You can only expect the best from our repair company for sure. We at South Florida Contracting Services also are always readily available at a moment’s notice. You don’t have to wait for too long to get a visit from our repair or installation team. If you are having a pool party tonight, but don’t have enclosures for complete outdoor protection, just call us and we will take care of everything for you in just hours. Do you need patio screen enclosures as well? These particular implements can definitely protect you and your family from the harmful rays of the sun regularly. The good news is that we also have the most popular patio and terrace enclosure types available; the Corso Premium Screen Enclosure. With this particular product, you will get to have the perfect combination of modern architecture and safety features at the same time. This particular design has a sliding mechanism that provides easy access to anyone who would want to have the enclosed space while still allowing sunlight to come in. It is also made of polycarbonate glass for added fortification and protection. You will never be trapped in a poorly ventilated greenhouse anymore during summers if you choose to have our Corso enclosures and patio covers installed. Another advantage of using Corso is that it can work on a wide variety of outdoor structures from gazebos and terraces to wooden Pergolas for outdoor barbecues. Versatility is the name of the game with Corso. Aside from pools, we also can work on various parts of the house as needed. Here are some of them areas that can benefit from our company services right off the bat. With our Florida company, you can expect to have the most comfort and variety for sure. All you have to do is to contact us and tell us the specifics of what you need. We will take care of the rest for you. If you would like to have outdoor activities with the family or some friends, but wouldn’t want to deal with extreme heat, it would be best for you to work with us in designing outdoor enclosures. We will offer you a lot of unique materials that will help absorb the sun’s rays and protect you from potential skin diseases down the line. We also have experts that can work on your carports and awnings right away. If your awnings are too small and you would want to extend significantly, our construction team is available to work on your abode right away. As for carports, we will also be able to provide this for you and your family to add onto your garage. Ports can definitely provide more protection for your cars and other vehicles. We also offer replacement and repair for these particular add-ons so you don’t really have to worry about anything as long as you work with our South Florida branch for all your household protection needs. If you plan to renovate any time soon, our company can also provide you with aluminum roofs that would certainly last longer than most roofing materials. With our aluminum shielding, you will be able to save a lot of money on repairs for years to come. If you’re looking for a change in any part of your house, we also do Lanai conversions. Would you want to redecorate this part of your house? Are you looking to add onto the lanai eventually? Whatever you need to do, our staff will certainly be there to help you out. The lanai is an extension of your house as well. In this regard, we at this South Florida Contracting Services can offer you renovation options for this part of your house. We can extend it or expand it to be able to accommodate more visitors down the line. We also can provide aluminum screens for the house to give it more durability and protection down the line. It really depends on the overall design of the house. We can use aluminum or glass for each room depending on what you need exactly. Our aluminum screen enclosures are incorporated with the latest technologies that will help you become more energy efficient and environment friendly in your home structure. Our screen enclosures absorb the heat from the sun effectively to provide warmth for anyone who uses the screen. Yes, solar powered screen enclosures definitely can help homeowners save energy much more efficiently. This is what we can offer you as a company among many others. Would you want to have your spa or hot tub built outdoors, but would not want to have the public see you so openly? Our South Florida Contracting Services can offer you screen enclosures for this particular part of the home as well. With our spa enclosures, you can easily have your tub built outdoors in your garden without having to worry about lack of privacy at all. We also offer screen enclosures for businesses and similar establishments. If you have an outdoor café for example, and would want to protect your customers from direct sunlight, our screen enclosures will be able to do it for you. The good thing about this is that our materials are completely sustainable and environment friendly. This way, you wouldn’t have to worry about the structure breaking down so easily. Be that as it may, our team of expert mechanics will be able to repair screen enclosures easily at a moment’s notice. Aside from those already mentioned, our company can also offer to build and install pet screens for your little critters. You wouldn’t have to worry about the effects of UV rays on your beloved animals any longer. In terms of design, we can offer the lattice framework for our screen enclosures. This means that you will not only get functionality, but artistry if you decide to work with this company in the long run. With all these advantages, working with the South Florida Contracting Services will be a joy for sure. You will get the best of both worlds when it comes to labor efficiency and structural integrity for sure. Visit the website right now for more information. You will never regret it.